The digital marketing agency is inviting developers, programmers and hackers to take part in a 48-hour NFC ‘hackathon’ in Boston later this month. Digital marketing agency Isobar is hosting a 48 hour hackathon in Boston from 13 to 15 September, with the aim of exploring the possibilities of NFC technology. 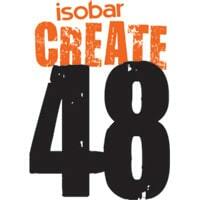 The Isobar Create 48 event kicks off at 3pm on Tuesday 13 September and runs around the clock until 3pm on Thursday 15 September. Attendees should bring their own laptop and power cables, says the company, and Isobar will provide the facilities, power, connectivity, food, refreshments, expert assistance, Nexus S phones, NFC tags, NFC readers and demo code.